The Skinny: Won St Louis Magazine Best Pizza 2009 for a reason. I was planning to go to La Pizza last summer during my Binge, but I just ran out of time, and during the rest of the year I really don't get to eat that much pizza. After La Pizza won St Louis Magazine's Best Pizza award there was not way I would miss it again. I had some errands to run and when I was finished at 3p.m. I called in my order, I was told it would be about 45 minutes before it would be ready, not a probably, but I was a bit surprised. I arrived about 30 minutes latter and understood the time, there was not an empty seat in the joint. Granted it's not a huge restaurant, but there was only one person running the place and he was the pizza maker, server, cashier, and chief bottle washer. Even though I showed up early, he felt bad that I had to wait and offered a free drink. A pretty good first impression. I started with a Garden Salad and the House Italian dressing. The salad comes with Iceberg and green leaf lettuce, mozzarella cheese and tomatoes. Simple and fresh, a good start to the meal. For pizza I went with my favorite pepperoni, hamburger, ham and onions. The first thing you notice when opening the box aside from intoxicating aromas is the more than generous toppings. You get some everything in every bit. The crust was browned nicely. Because I had a long drive home the pizza had cooled slightly and was able to pretty much support it's self, had I eaten it at the restaurant I'm sure it would have needed a fold to support it's self. Of the toppings the hamburger was excellent. The sauce was also very good holding everything together. I had a difficult time controlling my hunger, I just didn't want to stop eating. The pizza did very well a day later in the toaster oven. 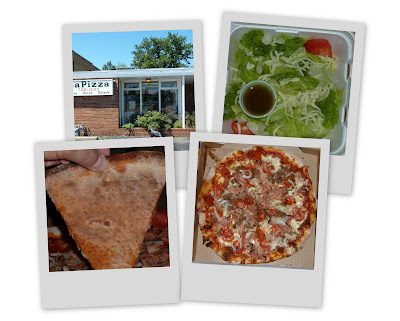 La Pizza has a full menu with two styles of pizza, hand tossed (New York) & Sicilian (they ask you to call 24 hour's in advance for the Sicilian). 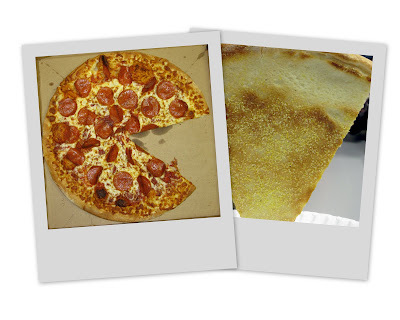 You can get the hand tossed by the slice or whole pie. There are also Salads, Cheese Garlic bread, Stromboli, Calzone and Heroes They offer dine-in and carry-out. 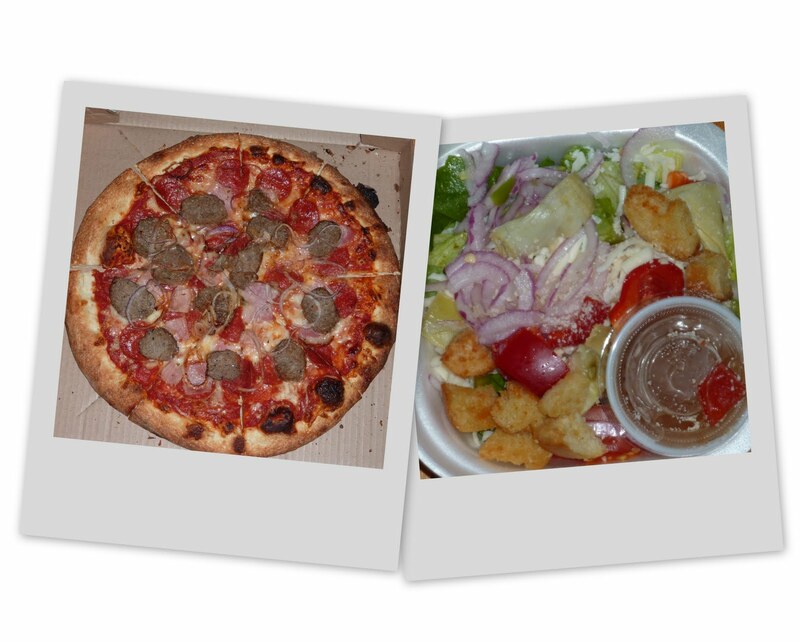 Everything was great, I will be finding excuses to go to U-city all the time, just so I can go to La Pizza. You can't have to many slice joints either. If you haven't been to La Pizza before make the trek it will be worth it. If you want to eat there, just make sure and go early or be prepared to wait, the seating is very limited. The Fith Stop on the 2010 Summer Binge was on my list, but not my intended location for the day. The last few days have been kind of a lousy, so I was determined to drowned my self pity in Pizza. I had wanted to visit someplace new to me, so in my aimless wandering around this afternoon I found my self at Feraro's Jersey Style Pizza in South St. Louis County, only to find it closed on Monday's. My Day just got worse... I tend to have a hard time deciding where to eat, so finding the place closed was just one more kick in the ribs. 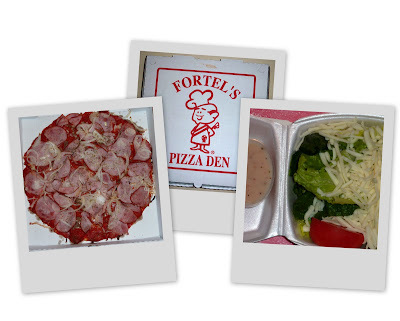 I start to think about the different pizza joints between where I was and home, several came to mind but only Fortel's was on list for the 2010 Summer Binge, so it's decided. 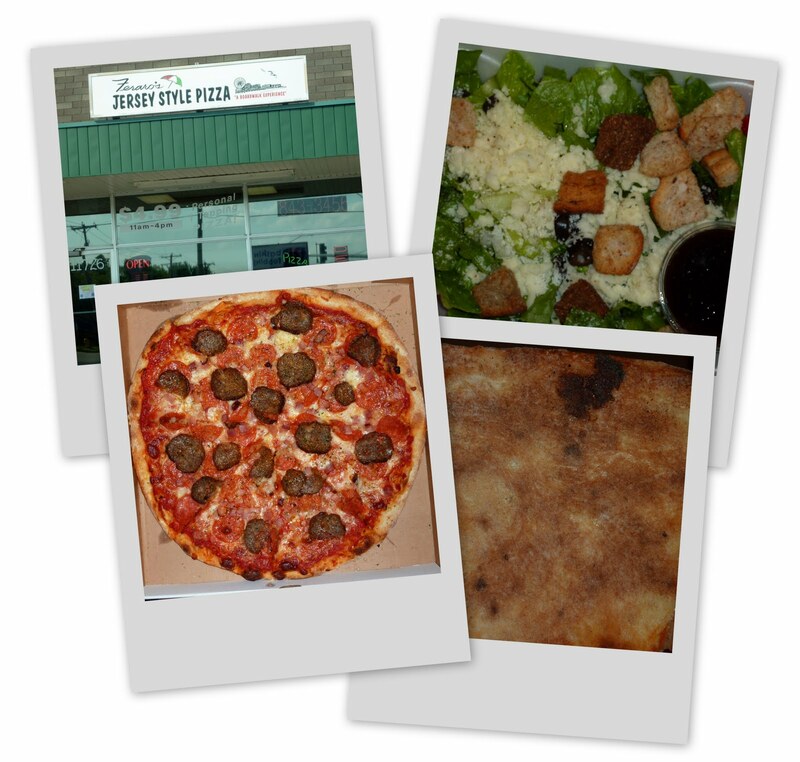 That's how Fortel's Pizza Den became stop Five on the Pizza Files 2010 Summer Binge. I started with a small side salad and the House dressing. For pizza I did my favorite,(remember I'm drowning my self pity) Pepperoni, ham, hamburger and onions. Fortel's pizza is very interesting, It's a bit like St Louis style in that they put sauce and toppings all the way to the edge, no handle on this pie, and it's cut on the square. Similarity's stop there, the crust is slightly thicker, they use Mozzarella cheese and they put all the toppings on top of the cheese. Speaking of toppings, they load it up. 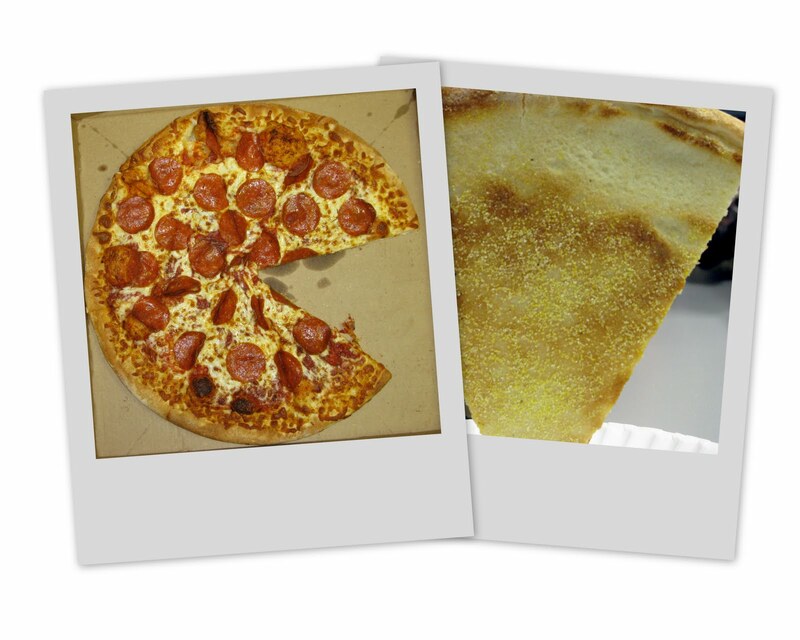 Delicious, no matter how they slice it. Labels: ballwin, binge 2010, fortels, Missouri, mo, recommended. The Fourth Stop on the 2010 Summer Binge was a place I have visited a couple of times in the past year. Luckily It's not far from my home as I was both hungry for pizza and to tired to drive very far. Thats how Papi's Pizza became stop four. I started with a small Papi's house salad with oil & vinegar dressing. For pizza I went with my fave pepperoni, meatball, ham and onion. The salad was very good, although the dressing was little lacking. The pizza was great. A worthy visit. Stop 2 of The Pizza Files 2010 Summer Binge, Little Caesars. Unplanned bonus stop. So I'm at work suffering from my broken collar bone, I was barely able to get my self dressed that morning, and there was no way I could make my lunch, actually food of any kind was the last thing on my mind. At about 11 A.M. my co-wokers told me they were going to Little Caesars for lunch and did I want any thing? Of course I wanted something. $5.00 Hot-N-Ready with pepperoni please. The Pizza Files 2010 Summer Binge has begun. The first stop, Picasso's Pizza in St Peters. 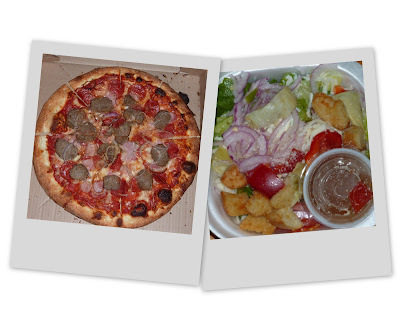 On the menu was the House Salad with House dressing (creamy Italian), a large pizza half pepperoni, meatball and onions. The other half was pepperoni and bacon. There were three pizza eaters and all came away satisfied. Not a bad start to the 2010 summer binge. 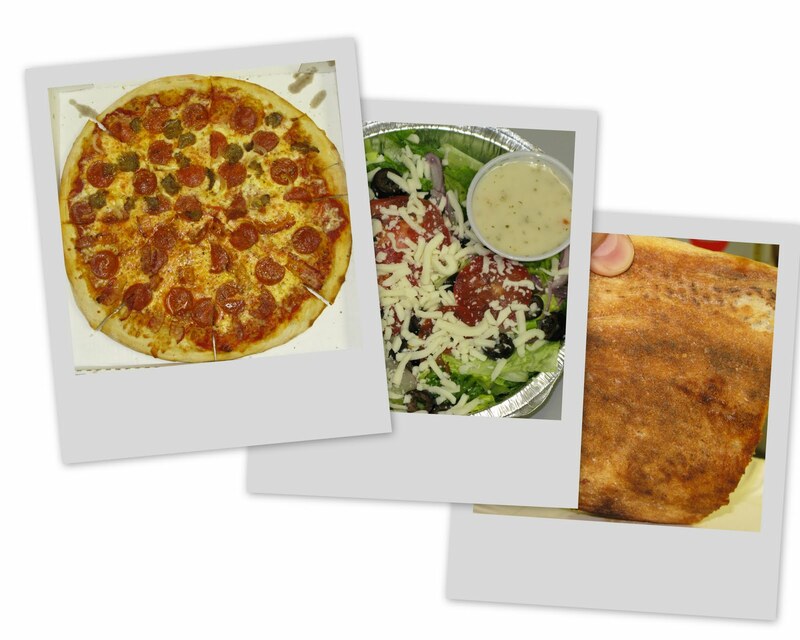 Look for more on Picasso's Pizza in the near future. About one week ago I hit a bump in the road, literally a bump in the road. 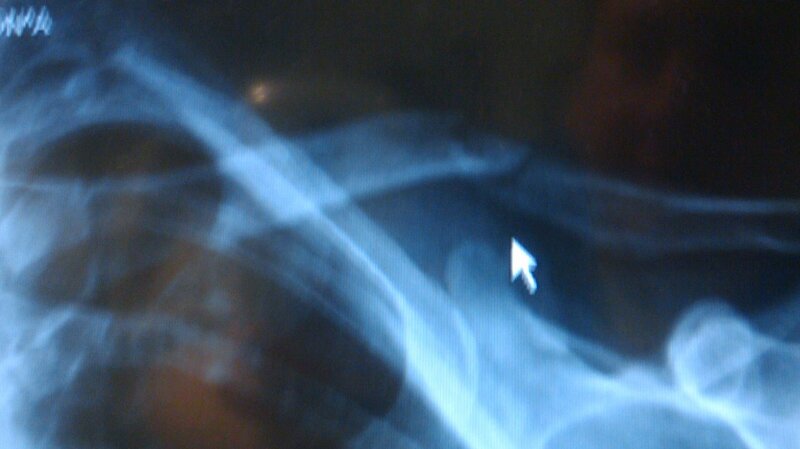 The results of the bump in the road are documented in the image above, a broken left collar bone. It took the wind from my sails for a bit, but I'm back and will be eating pizza again very soon. You will see some eaten pizza photos very soon.